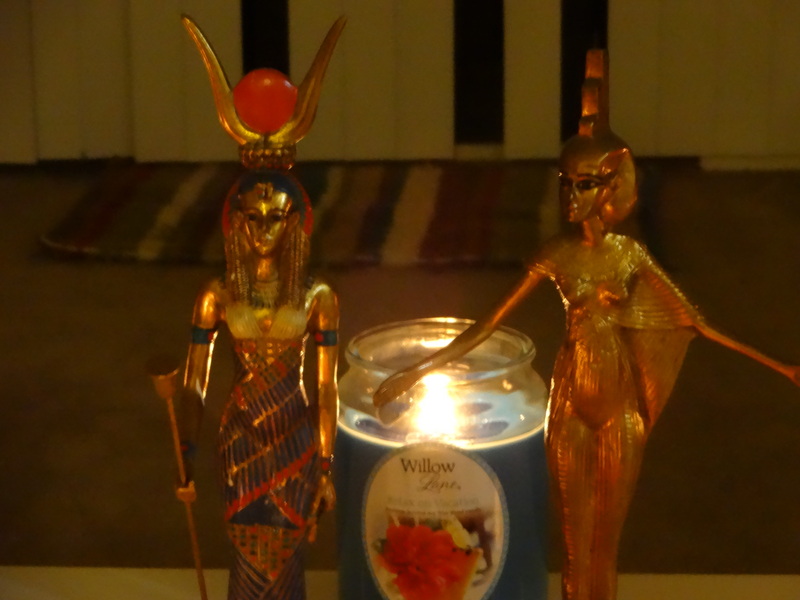 On March 5, many Isians and Goddess Devotees honor Isis during the Ploipesia or Navigium Isidis festival. Within the Roman context of the festival, Isis was honored as a Goddess of Seamanship, Sailors and the Sea itself. But the Kemetic Aset is not a Goddess of the sea, but of a river. And the Roman worship of Isis was influenced by the Nubians, Ethiopians and Blemmeyans that still honored Aset at the Temple of Philae during the Roman Period. Donalson, in his work The Cult of Isis in the Roman Empire, states that this festival would have been inspired by the Blemmyans (along with Nubians and Ethiopians), who traveled to Philae to honor the Goddess Aset/Isis during their yearly pilgrimage (1). (The Egyptians themselves celebrated this festival every week). During this festival Aset was taken out in a boat Procession to the island of Biggah to oversee the water and milk libations for Her husband Wesir. Aset would also use a torch to help Her find Her way (I’m assuming during the Procession here). Also, during this festival, Oracles would be given by the Goddess via Her statue in Her barque. Also, it is believed that sistra and situla, a curved libation jug, were used during this festival (2). *Feast of Entry to the Shrine of Aset on 3rd or 4th Peret Day 10, but I don’t know if this is connected to those above since all we have is a name and month; the day was guessed by Griffiths off of a Hetharu festival of the same name during the same month (3). So this may not be related. Also, there were Navigation Festivals of many Goddesses such as Bast, Hetharu and Mut with the Kemetic or Ptolemaic temple calendars, we could also look to them to see what we can do today for Aset’s Navigation festival on March 5. Anyway, given what we do have, how do we make this festival relevant to today’s devotees within a Kemetic context? During this Navigation of Aset on March 5, I will be offering Aset Oracles for $5. Please email your questions in before March 5 to lotusjewel4 AT gmail.com. (3) Griffith, F. Ll. Catalogue of the Demotic Graffiti of the Dodecaschoenus. (Oxford University Press, 1937), 47.